Home»Survey: What Japanese ingredients can you get where you live? 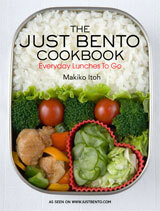 In connection with a project I'm working on at the moment, I'd like to take a short 5-question survey of Just Bento and Just Hungry readers. I assume you are here because you have at least some interest in Japanese food and cooking. My questions are as follows. 1. How easy is it for you to get Japanese ingredients without having to resort to extraordinary measures? Ordering food by mail order. I know ordering 'gourmet' or special food by mail is not quite extraordinary, but in my mind ordering everyday food items by mail is a bit much. Asking friends or family to send/bring stuff from Japan. Going way out of your way, or traveling a long distance, to get to stores that carry Japanese foodstuffs. 2. Can you get Japanese ingredients locally, and if so, where? Regular (non-Asian) supermarket? Asian market? Health food/natural food store? Somewhere else? 3. What kinds of things can you get easily and locally? For instance, where I am now (southern France) I've seen that things like soy sauce, nori, sushi rice, rice vinegar etc. are available at regular supermarkets. Fresh fish is a problem, though I did find a small fishmonger that has really fresh fish. What can you (and do you) get easily locally? 4. Does the unavailability of ingredients that are mentioned in Japanese cookbooks or websites deter you from trying a recipe? Please tell me your location (city/country - I don't need your exact address ^_^), so I can get a good idea of what is available where and so on. How easy is it for you to get Japanese ingredients without having to resort to extraordinary measures? Can you get Japanese ingredients locally, and if so, where? What kinds of Japanese ingredients can you get easily and locally? Does the unavailability of ingredients that are mentioned in Japanese cookbooks or websites deter you from trying a recipe? Thank you so much! Your answers will be very helpful to me. Submitted by maki on 2009-05-07 14:51. We have some very large Asian supermarkets, Uwajimaya and H-Mart in particular carry any Japanese ingredient I've ever needed. But I just look for run of the mill things...jarred and canned items, noodles, rice. They both carry a wonderful variety of vegetables common to Japan. 2 - There are several large Asian grocery places in town that carry pretty much everything. 3 - except fresh noodles as far as I know, Everything can be found. Grocery stores carry the standard Japanese items but not really good fresh fish. The best place for the fish and produce are the Asian markets. I too live in the Pacific Northwest (Seattle area), with enough of an Asian population that I can get pretty much anything -- we've got the big groceries like the aforementioned Uwajimaya (right down the street from my office, too), as well as a lot of smaller, family-owned shops. I don't think I've come across any ingredient in any of your recipies that I couldn't find with very little difficulty. There's one specialty Japanese Supermarket in the City here, 'Little Tokyo' (near the law courts/Hilton Hotel side of the Central Market complex). It stocks dry ingredients as well as cold/pre prepared stuff like natto, croquettes, organic tofu, miso paste, preserved daikon, umeboshi, a small range of sake, and even shirataki (as well as my favourite Nat-chan orange drink and coffee boss, and a whole range of curry roux and snack foods, and some homewares and takoyaki pans). There's 'Koreana Mart', also in the central market area. (it has a small selection of stuff like tea, mirin, and some sauces). Basically, the only ingredient I've not been able to get here when cooking recipes from this site was demi glaze sauce (when trying to make Hayashi Rice). Fresh daikon is also available from the 'Oriental Mart' (near the Grote Street end of the ChinaTown mall). The three major supermarket chains here also have 'asian' food sections, with the usual instant dry noodles and sushi making ingredients (mirin, rice vinegar, soy sauce, seaweed..dashi stock, instant powdered miso, japanese mayonaise). I have also seen panko and Golden Curry mixes in some places. Seafoods are available also from the market, I've seen fresh eel and mackeral recently. Ah- I've typed too much! Not very. I order food mail order or purchase items when I am visiting big cities. Locally, I can get two types of soy sauce (Kikkoman's and Kim Ve Wang), nori and a small selection of Blue Dragon items such as teriyaki sauce and tempura batter mix, and once the shop had sushi rice in stock. These are sold at the Supersol supermarket where I do most of my shopping. The other supermarket here (Mercadona) has nothing at all available. There are a few Teppanyaki restaurants on the coast now and I'm hoping that their popularity will increase the availability of Japanese food here. 2. I can buy the basics in my town at the Chinese supermarkets or Daiso, or for that matter, even Safeway carries miso, mochiko, soba, nori, etc. To get to Mitsuwa, the Japanese supermarket, or Hankook, a Korean supermarket, I need to drive about 30 minutes, but that's not a big deal around here.I can get almost anything there. There are other Japanese grocery stores, including an organic market, if I want to drive just a little more. I can also buy produce at several year-round farmers' markets, including Japanese sweet potatoes, taro (I always forget the Japanese name), burdock, daikon, and kabocha. 3. Everything from freshly made local tofu to sashimi-grade fish to nattou to organic handmade pickles of all kinds to expensive Japanese matsutake to expensive Japanese apples and grapes that I don't see the point in buying when we have incredibly good cheap fresh local produce, haha. 4. I don't recall coming across anything yet that I couldn't find. 5. Fremont, CA (San Francisco Bay Area, California, USA). 2. In the supermarket a few blocks from here we can get shoyu, noodles, nori.. the basics (all from same brand ) , also that very very bad tofu :). For authentic stuff, there is that japanese grocery.. for cheaper versions, I can visit asian markets near the market hall (where fresh fish can be also bought ). 3. Easily : shoyu, rice vinegar, some sort of mirin , nori , noodles, super expensive "sushi" rice , dried misoshiru (huy, terrible) . 1 - 2. I live in Alexandria, VA. I can get very basic Japanese food items at, say, Whole Foods, which is 2 miles from I live. For the rest of my Japanese food, I have to travel about 30 -40 minutes by car to Super H, which is a large Asian (Korean owned) supermarket that has a large selection of Japanese food. 3. Non-Asian markets sell soy sauce, udon noodles, soba noodles, and panko. However, I have to go to the Asian market for the BIG bottles of soy sauce, somen noodles, dried shiitake mushrooms, sambal olek, ramen noodles, bonito flakes and fish cakes (before I became a vegetarian), mirin, and nori. 4. Sometimes. For example, I couldn't find the fried tofu age pockets for sushi. 5. Alexandria VA, right across the river from Washington, DC. 2. I buy most Japanese ingredients at a local Asian market called United Noodles. Some I get at my local co-op. 3. Just about everything> Things I can't get: good umeboshi, a big variety of kaiware/seaweed, myoga, shungiku, mitsuba, and fresh bamboo shoots. 5. Minneapolis, MN. I'm a Japanese expat and have been in MN since 1996. 1. I'd say easy, though I don't use a ton of specialty ingredients. 2. My local natural foods coop (8 blocks from my house) has a good Japanese section. I also have a variety of Asian (mostly Vietnamese) groceries in my backyard that sometimes sell Japanese ingredients. Regular grocery stores have, probably, soy sauce, (expensive) sushi rice, nori, tofu, rice vinegar, that kind of thing. 4. No, though the unfamiliarity of them sometimes will give me pause. I still don't know what pickled radishes taste like (haven't been brave enough to buy/make). You can get pickled radishes at United Noodles. 2. Yes. There is a Japanese market (Toyo Shokuhin) and a Korean market (S-Mart), both with good selections of Japanese ingredients. Also several large Chinese supermarkets with limited Japanese specialties. 3. Pretty much everything except certain specialty fresh vegetables and seafood (eg. miyoga, fresh sanma cause problems). Miso, umeboshi, konnyaku, bonito flakes, etc. are easy to find. 4. Only in the rare case where an unavailable item plays a major role. I live in NYC. One can get pretty much everything here in the city ^^ There are so many Japanese grocery stores in East Village and Midtown East. Hi Everybody! Here are my survey answers. 1 +2) I have an easy time getting some of the basics for Japanese cooking locally at larger size grocery stores. 3) These include things like soy sauce, Japanese rice, nori sheets, and basic meats and veg that are also used in western cooking. No decent fresh fish though. 4)Not having an ingredient to make a dish does'nt deter me much, unless I can't find, or there is no western substitute for it. I have an excellent book called "The Cooks Encyclopedia of Japanese Cooking" by Emi Kazuko and Yasuko Fukuoka - it has a huge glossary of ingredients and I use it often to find substitutes. Or sometimes I just wing and put in what I think will taste good! 5) I live in Greenville, North Carolina, USA. 1. Usually depends on the ingredients, but basic stuff is usually available. 2. Mostly at Asian supermarkets, regular supermarket is starting to carry more things like rice vinegar, sushi rice and powdered wasabi. 3. Basics like soy sauce, white sushi rice, rice vinegar, nori, miso paste, frozen fish. Some more unusual stuff now like frozen pre-cooked unagi. 2) An excellent Japanese market called Tensuke Market. Market caters to Japanese population/travelers in town b/c of the Honda plant in Marysville, OH. Additionally, several large "general" Asian grocery stores around town. Surprisingly easy, given that Columbus is neither a particularly large city, or a particularly young and edgy one. Apparently we have a large Asian population? There are a lot of things in the 'international' section of regular supermarkets. There is also a wide variety of Asian groceries, some more Japanese-focused than others. Soy sauce, rice vinegar, some selection of noodles, wasabi, small bags of sushi rice, nori, dried mushrooms, edamame (sometimes), fresh ginger, sake, limited tofu selection, and pre-made foods (cup noodles, pocky...) are common in regular groceries. I've found dashi supplies (though I may have gotten the wrong kind of konbu as it did not turn out well) and bulk rice at the asian markets. They also have a pretty large selection of fresh vegetables and fish. A big problem for me is I'm shy and not Japanese, and the asian markets have very limited labeling in english, so it is hard for me to tell what there is. I've had trouble finding Aburaage, mirin, dashi powder, and okonomiyaki sauce, simply because I couldn't tell enough from the label whether what they had was what I wanted or not. I am fairly sure most of the ingredients you've mentioned here are available, I just have not looked for them. Some, mostly when they require a specific pre-made sauce. It probably deters me from liking the recipes more, as I substitute wildly in all my cooking, sometimes to poor effect. 1. Fairly easy. We have a few Asian grocers who stock basic Japanese ingredients. 2. Asian and local supermarkets. 3. Basic ingredients for sushi making, teriyaki sauces, soy sauces (tamari and regular), panko breadcrumbs, bulldog sauce (very important! ), quality wasabi, udon, boxed items such as curry sauces, okonomiyaki instant mix, etc. We are lucky we have access to fresh fish, but they come at a premium, especially salmon!!! 4. Sometimes, if it is a major ingredient. 1. Some basic/colonial stuff is fairly easy, but they are generally expensive. But even a special type of soy sauce or the right noodles can become a challenge. I only know of one store that carry japanese-only products. Its small and offer a small selection of 1-3 brands of each product. The store covers all the basic cupboard stuff, a small selection of drinks and frozen premade food. Else there are some sushi restaurants also selling japanese foodstuff, but all related to sushi. Else you will have to inspect the shelves in other asian supermarkets. (Thai and chinese dominate here). 3. Tea, nori, rice, ricevinegar, soy sauce, dry noodletypes. Popular candy like pocky. Sushi-related stuff you can get in normal supermarkets. other stuff go to asian supermarkets and try your luck. 4. Yes, especially fresh vegestables, and more unique products are hard to get. 5. Denmark, north of Copenhagen. there are quite a few good japanese restaurants in the area (3, there were 5 but two went out of business in the last month or so). next time i go maybe i will ask where they get their ingredients from. I don't have much trouble getting most Japanese ingredients. Many are now sold in the regular grocery store, and we have a great Asian market about 12 miles away. It just gets confusing there for a non-Asian reader, because they have versions of soy sauce from every possible place, and they're spread all over the store! So you think you passed the rice aisle, and then you come to another rice aisle! The same market has a fish counter, and it appears to be pretty darn fresh because most of the fish are swimming in tanks! They also have a very nice produce section, with all the "normal" veggies and produce, and then all the Asian ones that you'd never see in another store. Very reasonably priced, too. I've never put off trying a recipe because I couldn't find the ingredients; more like I'm not quite confident I could pull off the technique! I live in South Jersey, about 30 minutes outside of Philadelphia, USA. 1. Relatively easily, although for some products I would need to go to Denia (accessible by local transport for around 10Euros return) or Valencia (further away but also takes around 2 hours with a sporadic regional train - 20Euros or 1.5hours with the sleek but pricey Euromed train - 45Euros return trip or by bus). I tend to get a lift by car to either city every now and again, so not a huge problem. Or the ingredients can be bought online, or in Madrid. 3. Japonica rice, Rice wine vinegar (which I can turn into sushi vinegar), nori, shoyu, chikuwa, mirin, sesame oil, tofu, soba. Sometimes the stuffs they have seemed to vary from time to time depending on the stockings. Now I tend to buy when I saw something that I like. There's another one in City, I think it's somewhere in World Square beside Coles. I don't know the name but it seemed to have more varieties. I think there is another one in Maroubra Junction, but figured it's a bit more expensive that those in Kingsford (I mean for the same stuffs). I've been reading your blogs for a while and have tested quite a few of your recipes to good results :D, so here are my answers to your survey. 2. A shop my asian friend told me about in Memphis but I haven't been to it yet. 3. I can get Sushi rice, Soy sauce, Pocky :D, Nori, Mirin, Sake, I think I can get the different types of asian noodles at walmart along with a few other things that are more on the condiment side. 4. Not at all, I usually don't get deferred from recipes I like, I'm very good at figuring out substitutions. 5. I live about 30 minutes away from Memphis, TN. 1. Pretty easy. There is nowhere near where I live, but there is a Japanese grocery store near where I work. 2. Yes - the aforementioned grocery store, and a couple of other general Asian supermarkets. A select few things (soy sauce, soba, nori etc) I can get from my all-purpose supermarket. 3. Anything dried, frozen, canned or pickled. There is a good fishmonger near me, so fresh fish is not a problem. The only things I can't get are fresh vegetables and herbs. And mentaiko. Sad. 4. Not usually - as the only thing I can't get easily are fresh herbs and veggies, I usually just substitute with a similar ingredient. There are very few recipes I've turned away from due to ingredients. Having said that though, when I am in Japan, the dishes I seek out are the ones that I can't replicate exactly at home, which often means vegetable dishes. There are three Asian markets within walking distance (less than a mile) and two regular supermarkets that have a lot of Japanese related grocery items. If you go a little bit outside of walking distance, there's a wide variety of Asian-specific grocery stores, but since we don't own a car, we usually end up getting everything we need from the local stores. 3. What kinds of Japanese ingredients can you get easily and locally? Not usually. Although we still need to invest in a rice cooker, we haven't been able to find one in our budget/size needs (tiny). Otherwise we've been very lucky to find even the most obscure ingredients between all of the available stores. We even make our own bubble tea these days! Very hard. There are no asian stores in my area, the closest is an hours drive away. The Wal-mart in my town sells pocky (only chocolate and strawberry -cries-), nori for sushi, and basics like soy sauce. That's it. 2. I have two excellent (family run) Japanese specialty markets within a 5-10 minute drive of my house, a huge 99 Ranch Asian market within 10 minutes and a well-established Japan Town across the bay in San Francisco (~30 min drive). All major supermarkets and health food markets I have been to have a fairly large international section, with a good mix of Japanese and Chinese ingredients. I can even find japanese ingredients like edamame at my local Costco (big box warehouse shopping store). I am jealous of Los Angeles's conveni Famima. They remind me very much of the ones in Japan which I loved. 3. I can get just about everything, including impeccably fresh seafood of sushi/sashimi grade at the first three stores listed above. A large variety of dried seaweed and several fresh seaweeds as well. A huge range of different japanese rices, including haiga. Right now Tokyo Fish Market (see below) has kashiwa mochi and sakura mochi for Golden Week (Children's Day and Girl's Day). The only thing I can't really get is a wider variety of bottled unsweetened japanese green teas. American unsweetened green tea doesn't taste the same. Pretty much Ito En/Tea's Tea is the only brand I can find locally but I imagine I could find more in Japantown. 4. I don't think so but I've never really been challenged on this since I can find just about anything I'd need. 1. On a rating of 1 to 10, 1 being the easiest, about a 4, mainly due to monetary and personal transportation complications. 2. Yes, there is a decent asian market a within 2 miles, but it happens not to be on any convenient bus routes. MD Oriental Market on Fowler Ave in Tampa, FL. 3. They have a reasonable selection. I've seen them carry fresh lotus, fresh lychee, fresh bamboo shoots, loads of packaged foods, miso, tofu, huge selection of dried foods and seasonings, more varieties of rice and noodles than I've bothered to count, but most of it I can't even identify because so far I can only read English. 4. Not at all! If can't find something, I'm usually able to find a suitable substitute. 5. Tampa, FL, near the USF campus. As I mentioned in a previous comment, I live in France. The fact that you are at the moment in the south of France, I would not post a comment, but your findings are slightly different to mine, so here goes. 1. I can, as you have experienced, find many Japanese ingredients locally. Unfortunately I do not like the quality of everything that is available. A lot of it is mass produced, and if one cooks Japanese food everyday, a hand-crafted product is the choice for me. Also, there are many items that are not available, not that they are ‘gourmet’ items, they are for everyday use, but are unavailable here. So, yes, I order online for everyday food items. 2. Yes, Japanese ingredients are available locally, at regular supermarkets and health food stores. 3. Shoyu/tamari, most sea vegetables – but not items like battera kombu for example. Sushi rice, rice vinegar, umeboshi, different kinds of miso, kuzu. Noodles are a problem – no udon, at least I have not found any, and no mirin. Fresh fish is not a problem. Local big supermarket has enormous fish counter with fresh fish (even live eels!). 4. If the unavailable ingredient is one of the main ingredients in the recipe, then there is no point in trying the recipe. 5. Near the west coast of France – near la Rochelle. Not 100% easy but possible. I could probably make about 10% of the Japanese things on your website. My local supermarket carries a range of organic Japanese food like miso, rice wine, nori (but only for sushi), soy sauce, etc. but I don't use those really. I'm in a slightly nomadic type situation like yourself! Now, West Midlands, England. From Southeast USA. Hi! I used to live in Birmingham (West Midlands) and there is a Wing Yip Superstore where you should be able to get some ingredients. Not easy at all. I live in a pretty rural area, nearest grocery for 50 miles in any direction is a walmart. I can get a few canned 'asian' veggies there like bamboo shoots, baby corn, water chestnuts. I can buy calrose rose. There is ONE type of nori sheets you can buy. I think they might have some form of half assed wasabi. They carry Frieda's chicken flavored udon about 1/2 the time and some kind of Frieda's yakisoba (which I haven't tried because the udon was such a disappointment) I can get your basic silken and firm tofu and teriyaki sauce, soy sauce, and a number of chinese type sauces (hoisin, sesame ginger...but nothing like ponzu or unagi or gomadare, etc. )No rice vinegar, no mirin, zip. In the summer when the roads are good I drive a roughly 100 mile round trip into Indianapolis to the International market there. They are run by Chinese folks I believe, but carry stuff from pretty much all over asia and a lot of mexican food stuffs too. Not a lot of japanese ingredients, but some at least. I can get ponzu and better quality rice and sweet rice, rice flour, mirin, miso, sometimes fresh daikon, fish sauce, proper cooking utensils, frozen shumai, and so on. When gas prices were so awful high last year though it was actually cheaper for me to order what I could get off the net and do without the rest then drive to Indianapolis. Most of the time I have to resort to ordering online (usually Asian Grocer) for some of the more distinctly Japanese stuff. Oddly enough, I can get some awfully good (or I think they are) "Instant" udon noodles off amazon and get free shipping if I order two cases. Many things I can not get at all, like...sorry, I know I'm going to spell this wrong...aburaage? The premade tofu pouches. I'd had them in a restaurant and LOVED them, but the only way I've found so far to get them is to order them fresh at an OUTRAGEOUS price. I can't get fresh fish here from the walmart, and am a little wary of transporting it (even with a cooler) from Indianapolis. Don't know of any place there that carries sushi quality fish anyway. Nor can I find the japanese cavier I so desperately love without paying an insane fee for it over the net. Yes, quite a bit, though I have started doing some substitution tricks here and there. I know it won't taste the same but......I like variety, and even if it's not exactly what it should taste like it's better than nothing. 5. Where do you live? Greencastle, Indiana, USA. It's in the southwestern part of the state not to far from the border of Illinois, but not close enough to any good sized town in IL to be able to find an asian grocer there either. Things I would give away a first born child or my brother right arm for because I love and just can't acquire would be the abaraage, white tuna sushi quality, salmon sushi...well, any sushi quality fish...sun dried octopus (love that stuff in a salad) the tobiko? cavier, melonpan (I got some from asian grocery, so expensive so I've only had it once but oh so good!) and quite a few other things I'm sure. You might find A dozen Japanese herbs and vegetables to grow helpful - it also lists seed sources (see the comments too). You may have better luck looking for 'perilla' (the latin name for shiso). Shiso is an annual, so it doesn't come back the next year, but it may self-seed. It grows all over Japan, where winter temperatures vary a lot, so you'd have to try it. Otherwise, you can save the seeds too. The supermarket and natural food store in my street sell some basic ingredients. There are several Asian foodstores in the city center, the largest (Amazing Oriental) sells almost everything, including fresh vegetables. asian supermarket: different types of noodles, tofu, snacks, spices, flavoured sesame seeds etc, you name it. Also the more "unusual" fresh vegetables like enoki and lotus root. 1.quite easy for me. i really love japanese food, so i always have japanese rice, rice vinegar, mirin, and so on, at home. 3. i have been able to find quite everything i had been looking for. maybe japanese vegetables and shiso leaves are a little more difficult to find. i have not found yet an electric hotpot, though. 4. i usually can find substitutes. i also have been japanese cooking lessons, and the teacher told us about easy to find substitutes. 3. From dried foods to fresh produces. 1. Its actually not that difficult for me, there is the Japan Centre on Piccadilly which is really good and another Japanese supermarket on Brewer Street not far away. They take about 20/25 mins on a tube to get to, so its pretty easy. 2. I can get some ingredients at my local large supermarket, and there are two Chinese stores which sells some Japanese stuff about a 10 min walk away. 3. Noodles, Soy Sauce, Mirin, that sort of thing, but then a 25min trip is not far to get pretty much everything from the Japan Centre. 4. Yes sometimes it does, but I can usually find a good substitute. Not that easy - I'm about an hour from the only Japanese supermarkets around. There's a Tesco nearby with a tiny range. Basic - soy sauce, miso, tofu, nori and sushi rice. Yes, at normal supermarkets (for ingredients such as sushi rice, kewpie...) and asian(chinese/korean) groceries for most of the other basic japanese ingredients. But for the more complicated/harder to find ingredients I have to go to Japanese groceries or jump online and order it and pick it up at their warehouse (luckily it's very close to where I live!). As for fresh food - especially fish, it is very easy to get them here just from the local fishmonger and groceries. 4. Generally yes, but if I really want to try to make it myself, I always try to make do with what I have and substitute it with something similar. 1. It's not easy but getting better. I can get the basics at a local supermarket, but beyond that, it requires a trip to London -- an hour's train ride away. 2. As above, we can get the basics but nothing particularly specialized. 3. My local Waitrose has started stocking more Japanese ingredients: mirin, soy sauce, rice vinegar, sushi rice, nori seaweed for sushi, packaged soup stock, and for some reason, umeboshi paste. 4. No: I either sub in from my stash of Japanese ingredients or wait until I've been to London. 5. Winchester, UK (south of London). 1. Depends on what it is. Some supermarkets carry ingredients on their speciality shelves. There's also a Chinatown in the city center, as well as a massive Chinese supermarket outside of town, but not so easy for me to get to. 2. Again, depends what it is. But generally, yes. 3. Nori, Miso Soup paste, noodles, tea, rice, soy-sauce, mirin, rice vinegar, all normally available from the speciality shelves at the supermarket. I've also seen Umeboshi paste and packets of dried miso soup (which actually taste disgusting x_x I prefer the paste packets). 4. Sometimes, yep. I can't normally get hondashi, for example, and I once tried the granulated stuff (sadly, that shop no longer exists) and it was a disaster. It wasn't terribly encouraging. Fresh fish isn't really easily available, and where it is, it's expensive. 1. It is not terribly difficult for me - the best Japanese ingredients around me are available in huge Korean grocery stores about 45 minutes from my house. This would probably count as driving out of my way but I make it into a trip and get lunch or dinner at a new restaurant every time I go out there. 2. I can get them at an Asian supermarket. My local grocery store is located in an area that lacks in racial diversity, so my local store is not an option. Ethic food in my grocery store is defined as hard or soft shell tacos, I'm afraid. The only things I can't get are small specialty spices or certain ingredients that aren't especially popular outside of Japan. 4. Unforunately, yes. Sometimes if I think I can't get an ingredient or it's something difficult to identify, I do tend to shy away from certain recipes. 1. Easy. I live near two Japanese Grocery stores within walking distance, plus a Marukai that is only about 20 minutes away. 2. Can you get Japanese ingredients locally, and if so, where? I can go to asian markets for the full gamut; regular non-asian supermarkets for a lot of basics such as napa, tofu, daikon sprouts,even to my local farmers markets sometimes. I can get EVERYTHING easily. Nori, kombu, miso (fresh! ), tofu (made in the morning), seafood, dashi, fresh wasabi, daikon, so on and so forth. 4. No, the fact that my mother cooks japanese food deters me from trying japanese recipes. That - and I'm lazy....Japanese cooking (done right) has so many freaking steps!! 5. Where do you live? West Los Angeles, CA USA. *Sigh*, much too difficult: if it wasn't for Japan Centre and Mount Sushi... and friends travelling to London... There is one Asian supermarket in Belfast which holds some Japanese stock. I catch my own fish (sea fish and freshwater), so freshness is not an issue. Lots of mackerel, trout, salmon and so on. Tesco stocks some of the Yutaka brand, which is excellent, msg-free, and keenly priced: sushi rice, wasabi, tamari, nori sheets and miso soup, as well as mirin and rice vinegar, and pickled ginger. Supplies are sporadic, so I bulk buy when I see them. Very occasionally, Lidl has daikon radish. Sainsbury stocks some of the clearspring brand, but it's very expensive(99p for yutaka nori against 2.75 for nori in Sainsbury) and some items, like their miso soup, are foul . I would kill for fresh mochi... And I hoard nanami togarashi: I even posted back a load from Hong Kong. No, I read for pleasure, and even if I can't try it, I can imagine what it's like and keep a list for when I get to a Japanese shop. The far north west of the far north west of Northern Ireland! 1. It's not to hard as long as you don't need or want anything to exotic...it certainly helps if you can read japanese. 2. Yes, A-Dong Market, and several other smaller asian markets. 2: Yup, there are 3 stores around me that are Asian grocery stores, and I also have 1 good Japanese marketplace 10 minutes away that I go to often. 3: All kinds! From not well known ingredients to konbu. 2. Japanese grocery stores, general Asian grocery stores...even some local grocery stores. 3. All the normal fare, fresh fish and seafood. Basically most things you'll need to cook ordinary Japanese home food. 4. I usually try to look for Chinese ingredients that are similar. That said, I haven't had trouble finding many things. 5. Bay Area, CA :) My apartment complex has a lot of Japanese families. Guess that says a lot. I feel very blessed because I live about 45 minutes from the best place to buy Japanese ingredients in Europe that is Dusseldorf. I can get almost everything. It is also good to go for traditional Japanese pub and resto food. I only wish they have high end japanese bakery! 2. My dear little fishmonger holds many treasures, and a rare few items at the supermarket and in one health food store. 3. Loads of fish, since I live by the sea. Sushi rice if I get lucky. Soy sauce is on the shelves of most supermarkets, strangely enough. Very easy, but I do have to travel a bit (say, 15 miles). Yes. There are several Japanese supermarkets nearby (Marukai in Gardena and Costa Mesa and Mitsuwa, also in Costa Mesa), and some Japanese ingredients are also available at my local Whole Foods and Ralph's grocery stores. My regular local supermarket has nori, furikake, and a few types of noodles. I'm not sure if it carries sushi rice or not. It also carries kimchi (not Japanese, but oh well : ) and pickled ginger. I can get pretty much anything I need at the Marukai supermarket in Gardena--kamaboko, all types of noodles (dried or frozen), fresh Japanese vegetables (and some Japanese vegetable plants), rice, sake, Japanese pickles, rice crackers, bonito flakes, nori, kombu, marinated fish, fish for sashimi, meats for shabu shabu ... and so on! No--if I really want to try a recipe, I'll do whatever I can to track down the ingredients (or, failing that, I'll substitute something else). That also goes for other cuisines--Indian, Thai, etc. 1. It’s rather easy for me to get Japanese ingredients. I haven’t resorted to any extraordinary measures. 2. I usually get Japanese ingredients from local Korean markets. There are some Japanese markets, but they’re a bit further away from where I live (but I do love going to them). Other Asian supermarkets have a smaller selection of Japanese ingredients, but I don’t usually go to them if I have Japanese shopping in mind. Non-asian supermarkets also sell some Japanese ingredients. 3. Things like nori, sushi rice, rice vinegar, curry roux, gari, tube wasabi and tempura mix are available at most regular supermarkets, but fresh east-asian ingredients are limited. Local regular supermarkets also have a small selection of sushi, but it’s not good at all. I've seen one brand of white miso at few regular supermarkets, but I've never tried it. Asian supermarkets carry a variety of Japanese noodles and their selection of Japanese products is similar to that of the regular supermarkets, except for also carrying mirin, fresh vegetables, and deep fried tofu. Korean markets are very well stocked and carry most Japanese ingredients, but Japanese markets carry a much larger variety. Only Japanese markets carry vegetables unique to Japan such as long negi. As for fresh fish, locally there are three Japanese fish markets I know of. - Jtown Sakana-ya, 3160 Steeles Ave. E.
4. Initially, acquiring Japanese ingredients seemed daunting, but over time I’ve formed a pantry. Unavailability of ingredients is not a deterrent. 5. I live in Toronto, Canada. 2/3. I live near the center of a medium-sized, sprawling US city, and there's a large farmer's market (open year-round) about a mile from my house. There's a shop there called Saigon Market, which stocks tons of Asian foods. Also, some basics are available at grocery stores, plus there's a gigantic store on the outskirts of town that sells a huge variety of food from all over the world. It's called Jungle Jim's. 4. I have to admit that despite reading this blog, I don't cook Japanese food. N/A. 1.How easy is it for you to get Japanese ingredients without having to resort to extraordinary measures? Most of the essentials (as in the sashisuseso of Japanese cooking) is relatively accessible. Things beyond that, like Shiso leaves, dried shiitake, and the like can be a little difficult, but usually can be resolved by a quick (3 hour) trip to Sydney. 2.Can you get Japanese ingredients locally, and if so, where? Kim's at Civic is good, but slightly overpriced at times. Otherwise a trip to Tokyo Mart at Northbridge in Sydney is all it takes. Most Asian supermarkets in Sydney (and Canberra) will carry some Japanese ingredients. 3.What kinds of Japanese ingredients can you get easily and locally? Obviously the stock is a lot more varied at Tokyomart--pretty much anything that can be imported into Australia can be found there. Canberra, being much smaller, carries a lot less. 4.Does the unavailability of ingredients that are mentioned in Japanese cookbooks or websites deter you from trying a recipe? Not really. I've found that there are always ways around it--substitutes are usually available. That, or there's always the option of trying another recipe. 5.Where are you located? Sometimes Canberra, other times Sydney. Usually Australia. Yes, I live three miles from Uwajimaya in Bellevue, WA. There is very little they don't have, and I have to go to Seattle weekly so can shop at the "big store" when neeeded. I haven't found anything I can't get locally. Oh, except Ikari worchestershire sauce! Apparently Bulldog bought Ikari? Ie, no. Just like any home cook, sometimes I am out of something and rather than running to the store I just make do with what I have on hand. p.s. Why do people frequently ask, "Do you cook Japanese food a lot? I always have to stop and think, what do you consider Japanese food? I guess if we have rice and eat with chopsticks, we eat Japanese almost daily in some form or another! But it seems like an odd question! 1. Quite easy, though occasionally you have to substitute Korean ingredients. 2. Yes, can get locally. There are a chain of convenience stores called Koz Mart/Hanaro Mart which have a reasonable range of Japanese and Korean food products. If they don't have something there that I'm particularly looking for, can always go to Sunnybank where there are several Asian groceries which have a wider variety. 3. Sauces (soy, mirin, tonkatsu, yakitori, wasabi etc. ), nori, dashi, noodles etc. I may just not know where to look, but I don't know anywhere to get fresh salmon/tuna that wouldn't be ridiculously expensive. Makes me a bit sad! 4. It doesn't really put me off. If there's anything really specific I can't get, I just check around other recipies and see what can be substituted. 2. There is a small selection of Japanese ingredients such as nori, sushi vinegar and miso at supermarkets. There is a limited amount at Asian supermarkets as well. 3. Most of the Japanese ingredients you can get here are dried, packaged goods. Like sauces, dried noodles etc. 4. Occasionally but usually I just try and substitute with other ingredients. 2. There's a great Japanese grocer--Katagiri % Co--on E. 59th St. Perfect for ingredient exploring and convenient for lunch too! 3. The store has a great selection, but I need to practice my Kanji to really delve into it. 4. I have food-triggered migraines, so I've become quite adept at finding alternate ingredients for any recipe. 1. I can get the basics easily, but anything else requires a long trip. 2. Basic stuff is available at two health/gourmet grocery stores in town, though it's expensive. 3. Shoyu, mirin, miso, kombu, wakame, nori, furikake, bonito flakes, tofu, umeboshi, soba, udon, daikon, and bamboo shoots. 4. Sometimes; if the recipe requires something not listed above, I usually don't have the time/money to make the trip to a larger city to get it. If I wasn't in college this might be easier. 5. Great Barrington, MA., a small town in relatively rural Western Mass. 1. Fairly easily (except for really fresh seafood). 2. Yes, there are several stores that carry Asian and Japanese items. My favorite is Oriental Best Market, then Asiana (Korean), and International Farmer's Market with Asian and Hispanic ingredients. There is a huge Asian market in downtown Memphis but it's pretty far from my house so I don't go there much (plus the neighborhood is pretty rough). 3. All of the usual items plus fresh bamboo shoots, tiger lily bulbs, lotus root, lots of differest fresh greens etc. There are a number of buckets with pickled items, fresh tofu, etc. Pretty much anything I need other than fresh seafood. (There is some but nothing I would buy.) Two of the stores have tanks with live fish, crabs, etc. 4.The only recipes I don't try is one where the main ingredient cannot be substituted for something else (obviously). Otherwise, I'll try anything. 5. I'm located about 15 minutes outside of Memphis, TN. 2. We have Murukai, Mitsuwa, and Nijiya markets all within a 20 minute drive from me. Little Tokyo in Downtown LA is 1/2 hour max drive time away. I rarely buy Japanese ingredients at the big Super Market chains. Especially with high food costs right now. 3. I can pretty much get all that I want at these markets. But I especially like Japanese markets because you can get specific cuts of meat, fish, or chicken that are meant for particular cooking styles. We also have local Korean markets that have beautiful produce, and great beef for Sukiyaki and Shabu-shabu It's been my experience that most of the local Korean Markets carry a lot of Japanese ingredients as well. Also, we have a local Farmers Market in my town. There are a lot of Asian Growers who sell there. The Asian fruit, especially peaches, apples, and pears, are especially delightful when in season. 4. No, I'm pretty fortunate. 1. Very easy. I work in a Chinatown area so I have half a dozen Asian supermarkets within a 5 min walk. 2. Asian grocery stores have the best selection. Supermarkets here all have an asian food section which includes a small range of Japanese foods. Health food stores usually have a tiny selection of foods at hideous prices. Other places - some green grocers have a small selection, convienance (sp?) stores have snack foods. 3. Hmm, just about everything I've tried to find. Packaged/shelf stable foods are abundant. Small range of frozen food. Average range of refrigerated items, tends towards Chinese products. Fresh fruit and vegetables are more the ones used in Chinese cooking. 4. I can usually obtain ingredients in recipes, however I'm deterred from any recipe (Japanese or not) if it would require buying a whole bunch of special items. 2. Yes, Sogo has a reasonably good selection. Also "Great" in Admiralty has a selection, albeit a little more expensive. 3. Most of the basics are available. Did have trouble finding little ebi for chawan mushi. 3. Dried commodities( Japanese snacks ) sauces, nori, furikake, roe, frozen eel. There is fresh fish, but they're not bound to be fresh everyday. 4. Absolutely not, if I were missing something really important that I can't get from my area, I'd go downtown to Manhattan for Japanese goods at JasMart, Sunrise. wholefoods market has some Japanese commodities and definetly has fresh fish. 1. Basics very locally - there are more than 10 Asian supermarkets, large and small on the main street in my suburb. Chinatown would have the more exotic stuff, and the major fish market has many fish types fit for sashimi. The only thing I do want is a stainless steel tofu mold like the one you have and a good takoyaki pan but those are not foodstuffs. I do mail order fine Japanese tea, CDs and kimonos, but not generally food as there are strict quarantine restrictions and I can get most things here. There is a large Japanese supermarket about 30 min from where I live, where you can get pretty much anything, so I can't really count that as extraordinary measures. There is just a smaller range of brands to choose from, and a higher price tag. It's more the price than anything - if it's more than triple the price in yen I do not purchase it on principle and use something cheaper, usually a Korean or Chinese equivalent. 4. Not really. I substitute easily - there are usually fresh equivalents of seafood, and Chinese equivalents for soy bean products. Fine foods and fresh konnyaku are a bit hard to come by, but since making my own soy milk I've been even able to get my own okara so nothing much really daunts me now. Fresh yuzu and wasabi are about the only things I really want but can't get. I have also been unable to find hijiki but will look at the Japanese mart when I go there later in the week. May not have been looking hard enough. Hi, Maki. Coincidentally, some friends of mine in Virginia Beach are having a sushi party this Friday night :-) They do this 3-4 times a year. Very easy - most regular grocery stores have at least some Japanese ingredients; there's a very good one a mile or so from my office that carries soy sauce, nori, wasabi powder, sushi rice and vinegar, soba and other types of dried noodles, etc. In the regular grocery stores and in any of several Asian markets. We have a fairly large Filipino population, as well as immigrants from China, Japan, and other Asian countries. The items above, plus lots of unusual fresh ingredients like live tilapia and other fish and shellfish, bamboo tips, fresh noodles, and lots of frozen and canned Japanese and other Asian ingredients - fish balls, dumplings, etc. There are quite a few fresh ingredients in the Asian market that are unfamiliar to me. Since we're on the Atlantic Ocean and the Chesapeake Bay, we also have lots of fresh seafood available. Portsmouth, Virginia, in the southeastern corner of Virginia. Not very easily. We don't have much of an Asian population. The local mega-grocery sells short grain rice, miso soup packets, pocky, teriyaki/fish/other sauces as well as soy sauce and rice vinegar. I can get daikon and Japanese eggplant during the summer, and I saw shiso leaves there ONCE, but never again. Oh, and it's easy to get tofu. Fresh fish and stuff like konnyaku? No luck at all. Sometimes. I'm a bit of a perfectionist. But I'll experiment, too. Situated in a small town with Chicago,IL an hour and a half to the south and Milwaukee,WI an hour and a half to the north. 1. easy, but limited, most asian products around here are chinese or thai, some korean. 2. Asian markets, usually, supermarkets around here don't have japanese ingredients except some low grade sushi stuff. Health stores sometimes, I found Fu at one of them, but it ain't a cheap alternative. 3. everything sushi, soy sauce. difficult to obtain are japanese vegetables. 4. no, usually doing some research on how to replace ingredients, works more often than not. 1. I can get common ingredients easily, there are at least 2 ethnic groceries that carry Japanese items. 3. I can get staples, candy, snack foods. I have never trusted fish I have found and the vegetables and fruits never look good. I can get a lot of canned veg, though. 4. No, I usually try to find out what the ingredient is like and substitute. 2.Not the very local ones, but the bigger supermarkets.Especially Freshmart（久光）which is a Japanese supermarket in the heart of town. 3.All kinds. Even sashimi grade seafood, and Hokkaido big crab. I was told be a Japanese friend that they even hold events where they cut those fresh big tuna and sell. 4.No. However these things are quite pricey. 5.Shanghai,China. I don't know how true it is, but a Japanese friend told me that Shanghai has overtaken New York as the city with the most Japanese. We don't normally have to cook Japanese food as there are many Japanese restaurants in Shanghai, and they are not expensive. Many are very very good. 2. There are a few supermarkets in the area have a small Japanese section in the 'ethnic foods' isle, and a couple of predominantly Chinese food shops that also stock some Thai, Japanese, and Vietnamese goods. 3. Sadly the Japanese food shop called Okinami has closed down in Brighton so there is now less range. Staples like soy sauce, nori or rice are relatively easy to get, but pricey - I normally shop at the Japan Centre in London when I'm up there and bring it back down as prices in Brighton are 50-100% more! (on a positive note, Bird's Eye have just started selling shelled soya beans in the UK, available at supermarkets, yay!). I could do most of the cooking I want with whats available locally, but it's not possible to get sushi quality fish, or stuff like furikaki, or inarizushi skins here. 4. Definitely - if I can't get something here then I wait until I am passing Piccadilly and have the energy to lug bags home with me! Yes, at the regular supermarket, at health food stores, at restaurants, and at some fast food places. Tofu, nori, wakame, rice, umeboshi, furakake, rice vinegar, mirin, soy sauce, mochiko, annato, mochi, and a lot more! Sometimes, if it is something that is extremely difficult or not gluten-free. I can't buy dashi powder that doesn't contain MSG and is gluten-free. 2. There are several Korean and Filipino markets here, and they try to carry as much as they can in the way of Japanese products. 3. Mostly sauces. Taro when they have it, and bok choy occasionally. The Korean market I go to makes their own tofu, and soba noodles are easy to get. Freezer section has a great selection of gyoza and other such dumplings. 4. Nope, not at all. 1. Pretty easy - not from the local corner shop, but from supermarkets etc. 3. Sushi rice, rice vinegar, sushi preparation kits, soy sauce, tofu and fresh fish are easy to find in bigger supermarkets. More specialist ingredients like nori, umeboshi, miso can be found in many healthfood stores. 4. Not really. I'm vegetarian and often adapt recipes with fish and use tofu or just leave it out altogether. Hi, I'm a 17 year old girl from Singapore and I love japanese food. I have easily acessible Japanese food and ingredients just opposite my house. There are all kinds of Japanese supermarkets here that cater to some Japanese living here. 1. Relatively easy, but with a few gaps. A decent Asian market just opened up here last year and they carry a nice variety of stuff, but not as much as I'd like (I still can't get Nuka, good shaved bonito or pickled burdock root). 2. Well, at the Asian market for sure, my local grocery carries a few basics, and Whole Foods have a few things too. Most condiments - shoyu, furikake, mirin, sake, seasoned vinegar, some pickles, umeboshi (whole and paste), ponzu, just about any sauce really, etc. 4. No. I'm stubborn like that. 2. pretty much anywhere. where i'm from, the Asian community the pretty much the dominant community. products are at grocery stores, convenient stores, etc. Fairly easy. There is a japanese grocery market in Novi about a 1/2 hour away. Any kind of noodles (soba, ramen), curry, sauces and mixes, rice, savoury and sweet snacks, fresh sashimi and sushi, frozen items (gyoza, udon, grilled eel, etc), sake, hygiene products, music and dvd's. You can basically get anything you would want. I live in very rural south/central Utah, USA. ANY food is at least an hour away. Quite difficult. Soy sauce is available, as well as (if you look hard) tofu and several types of rice. Miso is sometimes available at the health food store. Everything else has to come from the internet or the asian food market near my aunt's house, 4-5 hour drive away. Only temporarily. I tend to compile master-lists of ingredients, and, when I have a little spare cash, buy them online. The internet is my friend. That and the occasional trips to see my aunt (and nearby store) keep me going. 1. For most things, fairly easy. 2. Yes. My favorite grocery store has an extensive-for-the-US Japanese section, and I can get most of the things I use regularly there. For the things my neighborhood store doesn't carry, I can head into the International District to Uwajimaya or another good Asian grocery. 3. Well, so far I haven't found anything I wanted I can't get in town with a bit of work, except for new harvest rice. And even then, I might just not be looking hard enough. And, honestly, I haven't been looking for the really unusual stuff. 4. I don't currently have this problem, but if I did discover that I couldn't get something locally for a recipe I really wanted to try, then I'd probably try to get it online, or find a substitute. 5. Seattle, WA, USA. Very large Japanese population here, which is why getting things is easy. 1. Easy -- there are 2 Japanese markets a 5 min drive away. 1. It's pretty easy. You can get things like soy sauce, nori, and sushi rice at regular supermarkets, but on the other hand, it's about four times as expensive as an Asian supermarket so you probably wouldn't want to. 2. Yes, usually. There are a lot of Asian supermarkets, especially in the East. If you google "Asian supermarkets" or "Asian shops" and "Berlin," you get pages of results, so it's best just to pick whatever's nearest you. 3. In general, there are more Thai, Vietnamese and Indian supplies than Japanese (or Korean or Chinese), but most things you would want are there. It's not hard to get miso or bonito flakes or udon noodles, for example. Rice flour is readily available, too. But you can't buy a lot of prepackaged stuff. And I haven't been able to find soba/udon soup base. There also doesn't seem to be much Japanese candy. I live in Lehigh Acres Florida. The country I live in is the United States. Unfortunately local grocery stores around where I live don't carry much in the way of Japanese foods; the stores that are well stocked only carry panko. Any grocery store I shop at carries staples of Japanese cuisine, like rice wine vinegar, soy sauce, and sesame oil. Currently where I live there are no oriental food stores available locally; in order to get Japanese ingredients I have to go out of town to an oriental food store. It's slightly misleading to say this is the extent of my availability with Japanese foods, because I'll be relocating to Northern Michigan very soon. Up there where I'll be living there are no local oriental food stores, at least not to my knowledge. The only oriental food stores that carry Japanese food there will be in Central Michigan which is hours away from where I live. Basically I'll have to order Japanese food from the internet if I want it once I relocate to Northern Michigan. -tons. At at least two Japanese supermarkets (I tend to frequent the Nijiya in Japantown), and at a number of Chinese ones, and even the local American supermarkets. -all the basics, eg: shoyu (many different brands), miso, konnyaku, gobo, Japanese-style-butchered meat and fish, fresh bamboo shoots sometimes, myoga, good brands of instant dashi, sake, mirin, Kewpie mayo!, Pokemon-shaped onigiri nori, and Pocky in every flavor under the rising sun. Etc. etc. etc. And the bento kits to put it in. -the only thing I can't find so far is dried yuba (bean curd skin). Except for a small handful of items (see below), completely impossible. There is -one- single store in my area, a normal supermarket, that carries a -very- small number of items. Other than these, there are absolutely -no- Japanese ingredients available in my area. The above-mentioned single store carries: calrose rice and 'sushi' rice, soba and udon noodles, red and 'brown rice' miso, sheets of nore, dried wakame and arame - and that's -it-. Most frustrating is the lack of dashi - can't even get instant dashi granules short of mail-order. Often, yes, but if the missing ingredients aren't a focal point, I will often try a recipe anyway, substituting as best as I can. 1. Not extremely easy, but not too hard, either. 2. No local asian markets, but there is one about an hour and a half from where I live. 3. Two blocks from my house: mirin, tempura batter, good soy sauce, rice, wasabi, seaweed, and soba. An hour and a half from my house: anything you can think of. 4. It can, but that's because I don't feel like going out and buying the things I need. (I'm lazy. And cheap.) I'll modify the recipe if I can, but I will take that long drive and stock up when necessary. 5. Outer Metro-Detroit, Michigan, usa. 2. Most supermarkets carry basic (low quality) Sushi ingredients. There is a specialized (but very small) Japanese grocer in downtown Copenhagen, right next to one of the major train stations. In the area around Copenhagen Central station, there are several Thai, Korean and chinese grocers and markets. 3. Dry stuff, frozen stuff, preserved food and liquids. Sake is ridiculously expensive though. At least 4-5 times Japanese price for the 'cheap' stuff in kartons. Fresh produce can be more tricky - and its definitely easier to find Korean/Chinese/Thai stuff. Fresh fish you can simply get at the local fishmonger - though the variety isn't as great as in Japan. And fresh squid and octopus can be really hard to find. 4. No. I just improvise. Sometimes a viable variation of a dish, can come out of it. There are some things that I would never leave out, though, and just cook something different instead. 1. I guess it depends on what you call extraordinary measures. I can find a surprising number of things at a nearby regular grocery store in their Asian foods section. The rest of it I get by driving to Mitsuwa, a large Japanese grocery store that is 45 minutes away. 2. Yes, Albertson's (grocery chain) and Mitsuwa (Costa Mesa, CA). 3. In town at Albertson's: soy sauce, nori, wasabi paste, pickled ginger, miso... Farther afield at Mitsuwa--almost anything the heart could desire! 4. No, I just try to find a close alternative, or I wait until I can get to a place to by the missing ingredient. I have two answers for the two places i've lived this year! 1/2. Easy pie, they're everywhere. TnT, random shops, farmer's markets. 2. Though I'm living in a small town (about 60.000) we have 2 well sorted asian super markets (Thai, Chinese and Japanese) and I can get the healthy Japanese food like Miso in several varieties in one of the local health stores. 4. nope, I have to admit, I substitute what I think is right. I don't go out of my way to get this one special ingredient. YES!! in cairns there is one marvellous asian foods supermarket where i have been shopping for almost 20 years. since then a couple more have opened and i hear they are pretty good also, but i haven't needed to venture out to try them. yet. pretty much everything. cairns is a very popular tourism destination for japanese travellers, so we are well used to catering for them. and in the meantime, cairns residents have developed quite a taste for sushi. i live an hour from cairns, which is in far north queensland, australia. Quit easy - japanese food store is about 30 min. sidetrip from workplace. Beforementioned japanese food store, most basic items (sushi rice, tofu, rice vinegar, nori, sezam oil) at local supermarket. Well, so far I have been able to got everything i needed for recipes - but I have never been even trying to get fresh fish.. or to be more precise with words: I dont trust those "fresh" fish enough to consider eating them raw. Basic things (soy sauce, nori, sushi rice, rice vinegar etc.). So we can easily make our own sushi, tempura etc. Not very easy. Unfortunately I have had to drive for 1 hour and 45 minutes from where I live to a Chinese shop to get some ingredients like furikake, bonito (when they have it1) or mirin. 2. Can you get Japanese ingredients locally, and if so, where? AND 3. What kinds of Japanese ingredients can you get easily and locally? A very limited amount based on sushi: nori, sushi rice, rice vinegar. They carry Blue Dragon Brand. Otherwise we have Chinese and Thai shops here that carry a very limited stock. No but it is difficult. I have had to buy "adapted" cookbooks here, meaning the recipes are not only translated to Swedish but modified to accommodate what can be found. The book only mentions shops in the capital, Stockholm (a 6 hour drive from where we live). I'm a transplanted New Yorker, living Halmstad in southern Sweden which is 2 hours from Copenhagen in Denmark. Simple to find. Because of trends in the last decade and a fairly large population of Asian immigrants, the more basic ingredients are ubiquitous. Most grocery stores nearby at least carry passable rice, most of the more common seasonings, and some other items such as konbu and nori. Less common ingredients can be found at Asian grocery stores. It's simpler to list ones I can't. Things like shinmai and shincha aren't easy to come by. Certain fresh vegetables can be difficult to get although I'm still occasionally surprised. 1) Very easy. I live in an area with a large Asian population, so there are lots of Asian stores and high-end grocers that carry Japanese products. 2) Yes. In Seattle, Uwajimaya and a little independent Japanese store in Georgetown who's name escapes me right now, as well as lots of Asian stores in White Center, and in Poulsbo we have Central Market and in Silverdale there's a store simply called "Asian Food Store." 3) Everything I need. The only difficulty I can think of would be the difficulty that everyone would experience, i.e. things that are a limited export from Japan.